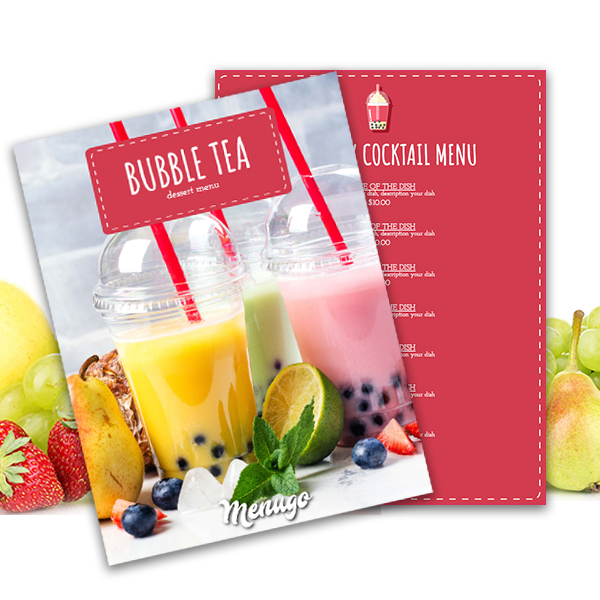 Bubble-Mania starts today with our new Bubble Tea template! We designed this menu to make you believe in bubble tea and worship it. Our placemat size option allows you to use this template on your tables easily.